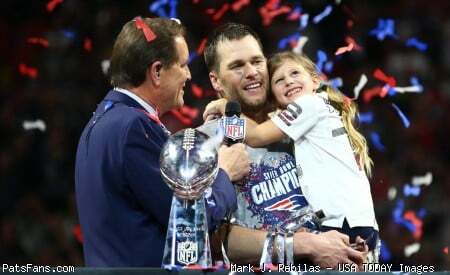 Discussion in 'PatsFans.com - Patriots Fan Forum' started by TommyBrady12, Apr 9, 2019. I no longer own a DVD player. Can you "buy" it on Netflicks or one of those services (I will have to ask my kids to buy it for me as I am useless with other than the barest minimum of tech knowledge)? Yes, you can get a digital download from the Pats proshop. It's actually going to be available before the blu-ray is. $19.95 and includes a Pats key chain. Opinion: What's better, the NFL-produced super bowl video or the Pats-produced 3 games to glory? Or just get them both? Neither? I get them all. Even though I can only watch the digital ones. But I’m a sentimental dork so who knows. I remember when lots of people including myself were convinced it would have to be 4 Games To Glory. I started a 4 Games to Glory thread here during a low point in the season and was called a jinx, or worse. Glad to see that everything turned out ok.
where is the dog picture? Just ordered my 6th edition! Thanks for the link!